This time of year, nothing beats a big salad for dinner. Saturday was so unexpectedly warm that I ended up with a headache. Also, the persistent conviction that I need to buy a sundress. It’s been years since I had a really good sundress. How is it that something so simple can be so difficult to find? What is not difficult to find right now are fresh, beautiful vegetables. After an uninspiring winter, suddenly I’m compelled to buy green things. In just this past week, I’ve had asparagus, artichoke, zucchini (trying to cover the whole alphabet), and a series of monstrous and wonderful salads. 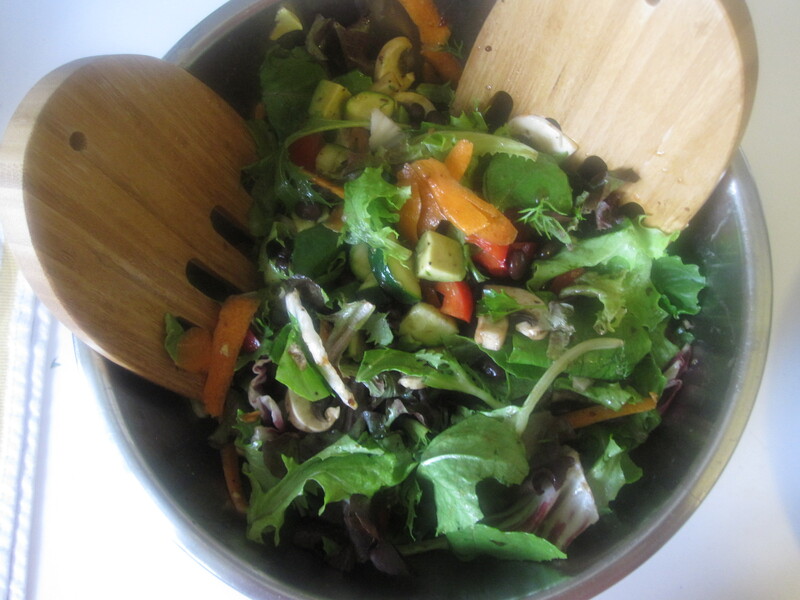 I may have gone overboard last week, making an enormous salad for dinner every night.